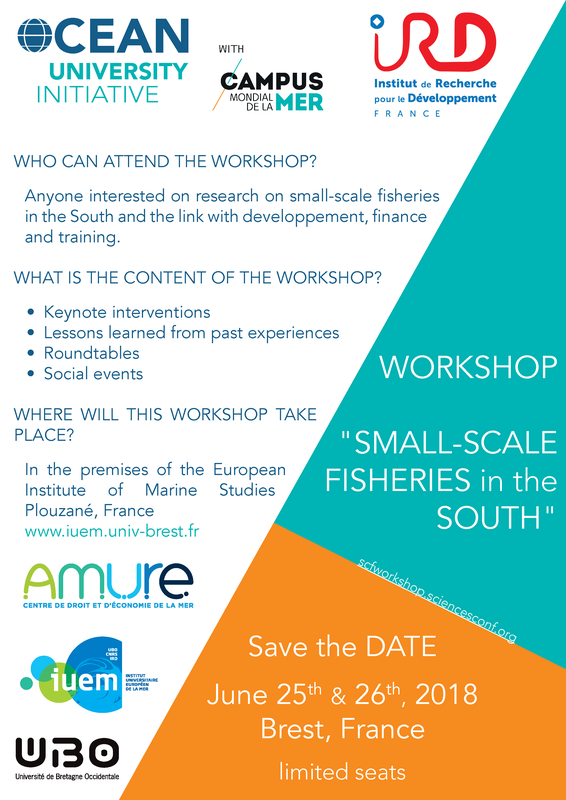 Université de Bretagne Occidentale and Institut de Recherche pour le Développement, together with TBTI, are organizing a workshop on 'Small-Scale Fisheries in the South' at the European Institute of Marine Studies, France. 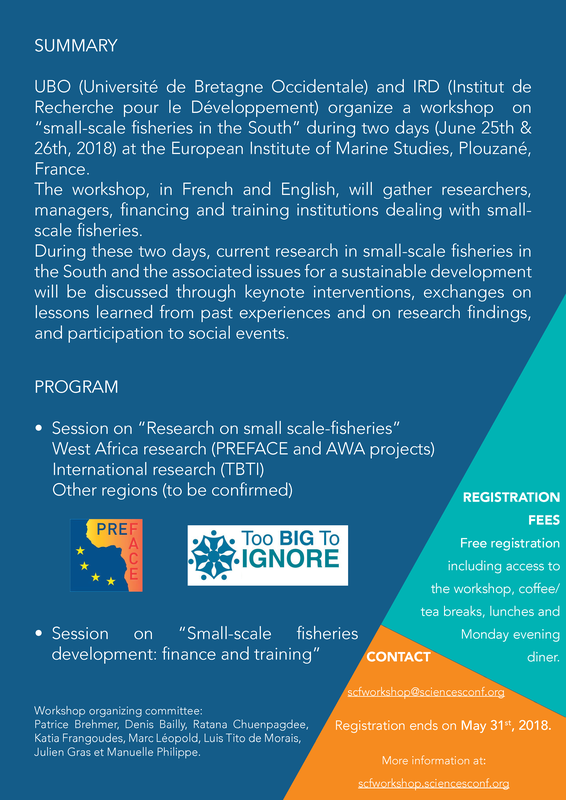 The workshop, held in French and English, will gather researchers, managers, financing and training institutions to discuss current research in small-scale fisheries in the South, within the context of sustainable development. TBTI, together with other international projects on small-scale fisheries, will present overview of their activities, showcasing some case studies and key findings. The workshop is also an opportunity for emerging leaders and early career scientists to take part in the drafting of policy briefs and position papers for the sustainable future of small-scale fisheries, to be presented at the 3WSFC. Contact: scfworkshop@sciencesconf.org. Registration ends on May 31st, 2018.